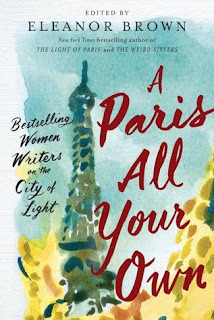 Edited by one of my favorite authors, Eleanor Brown, this collection of Paris themed essays is especially perfect for any francophile and Paris dreamer. Take a peek into the lives of eighteen bestselling authors that will whisk you away if only for a short while to the famed city of light. Filled with romance, break ups, high fashion, delicious delicacies and always topped off with a glass of champagne! Women who romanticize and long for the day they are swept away by the worlds most beautiful art, history and warm embraces on a city bench with a handsome French stranger - will thoroughly enjoy these stories by some of our favorite writers. It is so much fun to read and recognize the similarities with their very personal experiences and the novels they have published that were connected to Paris.